Try Portland’s Greenlight Studio or The Rumpus Room in Brunswick. Also, don’t forget to check out your nearby libraries for fun children’s programs and free play. 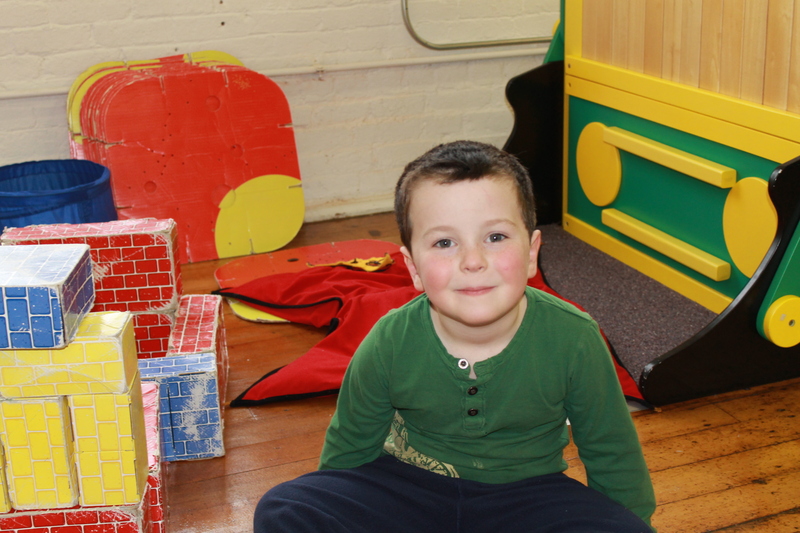 CP#2 takes a building break at a favorite play space. If your family is like ours, you probably have a lot of broken crayons on hand. 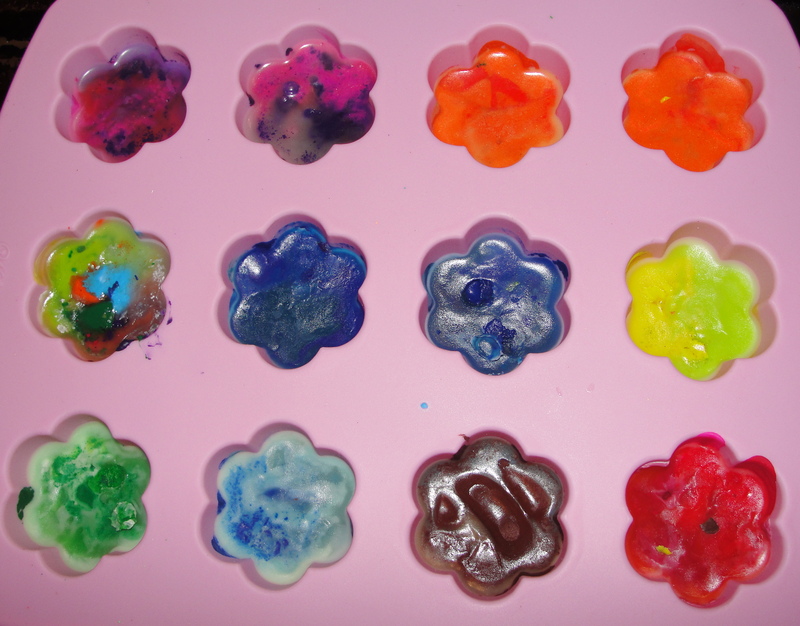 Use the broken pieces to make some fabulous new crayons for your kids! All you need is a silicone mold (found at many big box stores) and your oven. Trust us, your kids will love the results. The Cute Potato kids love raiding the refrigerator for supplies to make their own silly pancake faces. 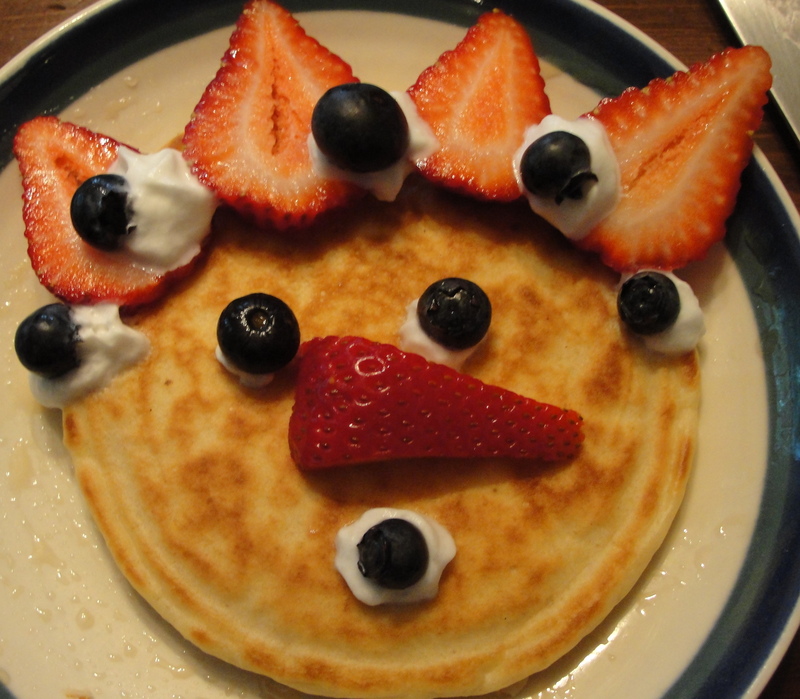 Plus, decorating pancakes makes for a celebratory (and easy) meal. There’s no better reason to use lots of whipped cream! We made these Santa puppets for the holidays using some paint and felt. However, with a little ingenuity, kids can make anything they like. 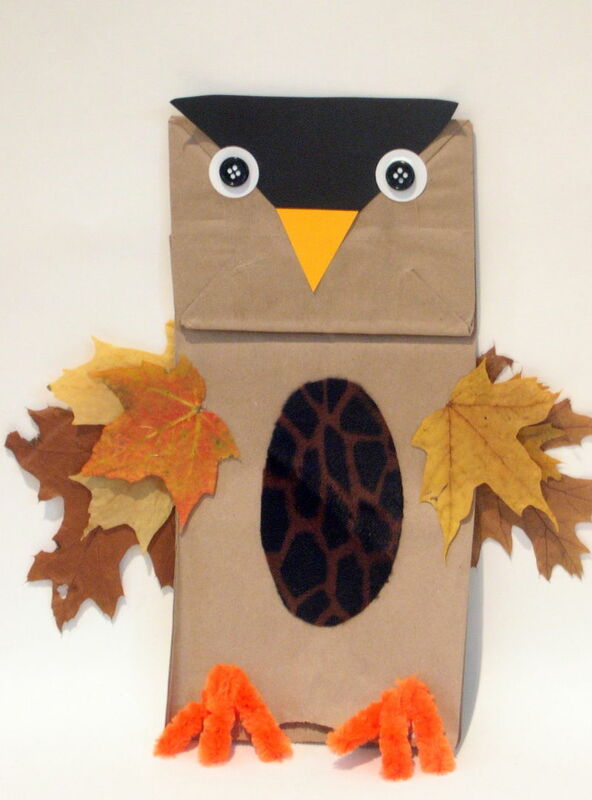 Try this owl puppet using fabric, buttons, pipe cleaner, and leaves. Photo courtesy of While She Naps. 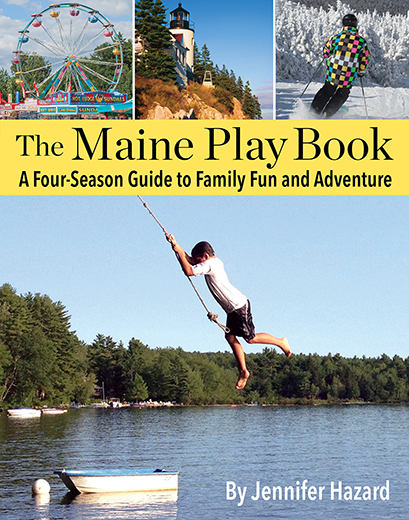 We hope these simple ideas help keep your kids busy during summer’s rainy days!